Our recent chat with Lloyd Robertson will be broadcast tonight at 6 pm on 100.9 CanoeFM or online at http://www.canoefm.com. The second airing of the interview will be next Tuesday at 11 am. It was a delightful chat and Lloyd was a most approachable person which made it very easy to have a more relaxed conversation. Hope you can catch it tonight at 6 pm, or Tuesday morning at 11 am. I kinda excited. 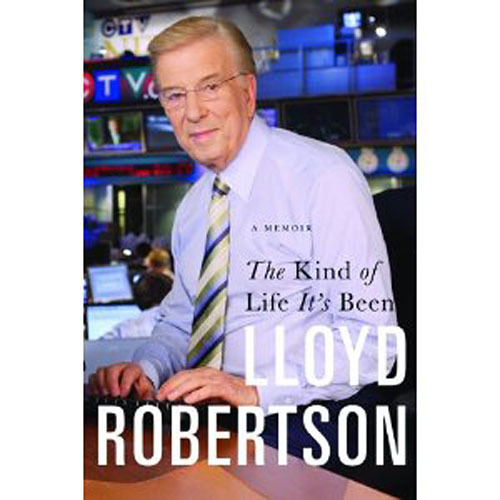 This morning …’bout 45 minutes from now, I get to talk to the longest-serving news anchor in the world, Lloyd Robertson. Lloyd will be doing a book signing at Harmony Farm on the May long weekend (24th) and we get to chat with him about the book, and about his amazing career. 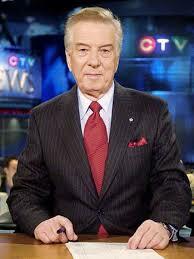 Well into his 70’s (he’s a zoomer) he’s going strong on W5 for CTV. Our interview will be broadcast on CanoeFM later in the month. Stayed tuned. Excuse me, I’ve got to get ready for his call. It was quite a finish yesterday morning. The CanoeFM Radio Hall was full to overflowing with lovely people. It turned out to be quite a lovely “roast”. What fun it was, and how nice to see so many good friends from so many parts of the community. Emails continued to come in today and I am very overwhelmed by the kindness people have shown. I feel like a little lost boy today, wondering what it will feel like next week. After the tumult, today I’m feeling much more emotional about it all. I will miss talking with so many friends in the community. Today on the Reeve’s Report, Carol Moffatt will be our guest. 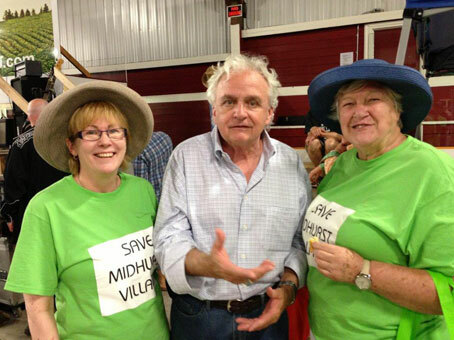 Carol, reeve of Algonquin Highlands and Warden of the county will bring us up to date on activities and issues of importance just after the 8am news. At 8.30am we’re delighted to have Dale Goldhawk chat with us. Famous for his “Dale Goldhawk Fights Back” radio program in Toronto, Dale is a featured speaker this morning in Lindsay at an event for Community Care. Lorraine McNeil is our co host as we take to the air waves 7 to 9 am this morning. Hope you can join us for a spell. We’re at 100.9 or live at http://www.canoefm.com. Ian Tamblyn our guest on CanoeFM this morning! Shawn Chamberlain co-hosts this morning, and we’re looking forward to our phone chat with Ian Tamblyn, right after the 8am news. Ian began writing songs, short stories and plays as a teenager. Since that time he has recorded twenty- nine albums, cassettes, and CDs and written over 1500 songs. 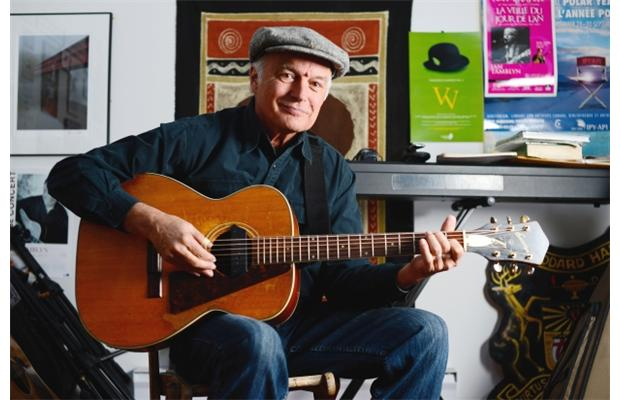 Ian will be appearing at the Dominion Hotel, sponsored by the Haliburton County Folk Society, this Thursday evening. We’ll be live this morning, 7 to 9 am, on 100.9 Canoe Fm. 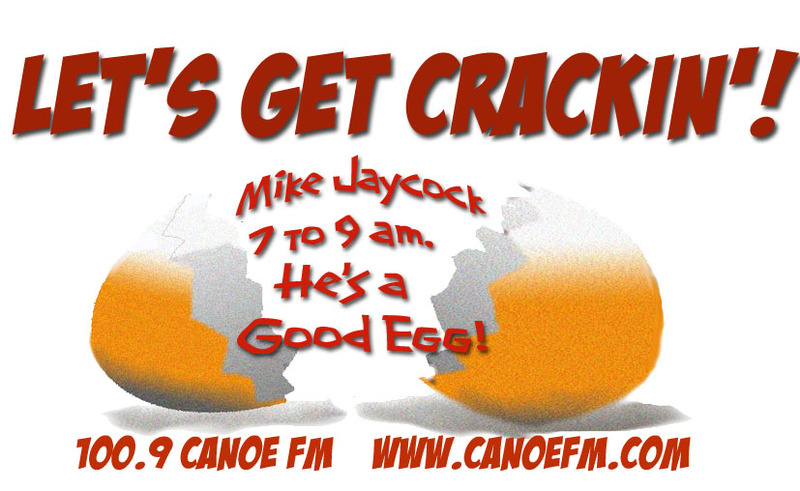 Author Mike JaycockPosted on October 21, 2013 Categories Canoe FMLeave a comment on Ian Tamblyn our guest on CanoeFM this morning! 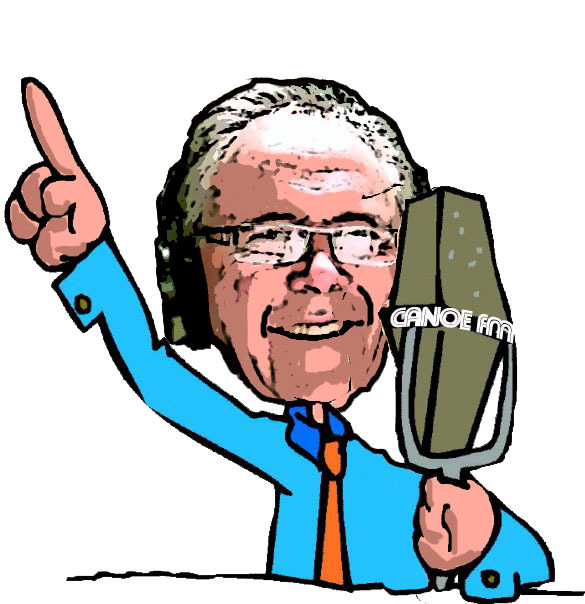 Yup, last day of the month today … and we’re on the air from 7am to 9am. Hope you can join my Monday co-host, Shawn Chamberlain, and I for a coffee and some radio chat. 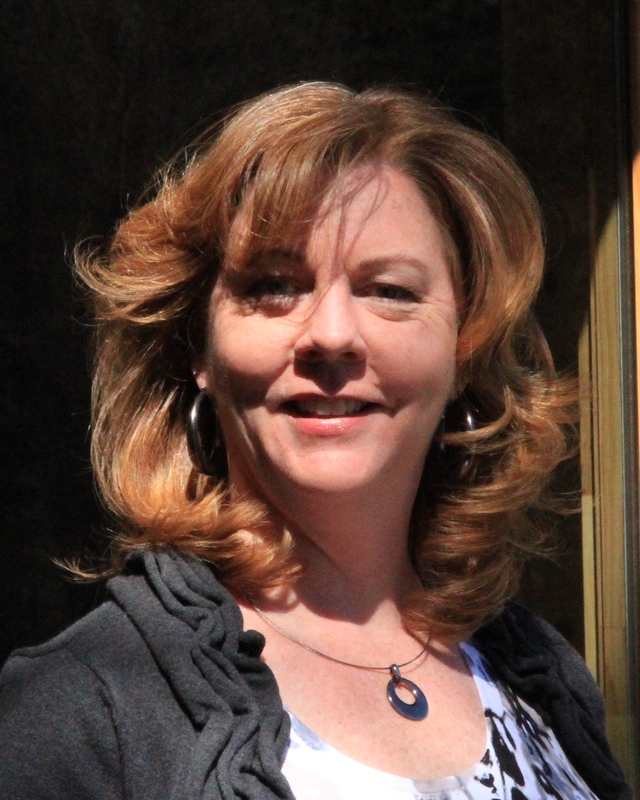 Just after the 8am news Brigitte Bebauer of Community Care will be our guest. Friday morning …. phew, we made it! Boy that’s been a busy week, and today on CanoeFM we have guests galore .. Brian Daoust joins us after the 8am new to chat about the upcoming Radiothon for our hospital foundation and about 8.30 the two organizers for Minden and Haliburton Terry Fox runs will be in to say thanks to the community. Shawn chamberlain can’t make it in today and so Lorraine McNeil will be with us, ’cause she knows how lonely it is so early in the morning. Author Mike JaycockPosted on September 20, 2013 December 8, 2014 Categories Canoe FMLeave a comment on Friday morning …. phew, we made it!